On Saturday, Jesse and I will be racing our first trail race and half marathon of the year, the Montara Mountain Trail Half Marathon in Pacifica. After Jesse’s birthday race was cancelled due to fire near Mt. Diablo, we received a generous voucher to register for a new race (we paid less than $5 for this one) and chose this one due to its proximity to San Francisco and lack of conflict with our triathlon training. I plan on taking this race pretty easy, using it as a long, slow distance run and saving my legs for Sunday’s planned three-hour bike ride in Golden Gate Park. I haven’t ran much in the last month, allocating more time to biking and swimming. Nearly 3,000 feet of elevation gain will force parts of this race to be more of a hike than a run, but I’m really excited to spend Saturday exercising outside, particularly after last weekend’s debauchery. 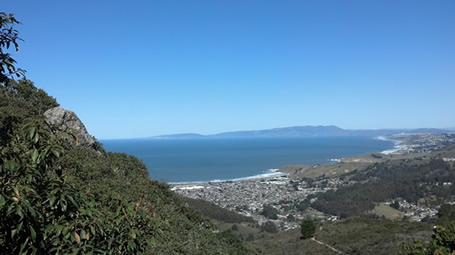 The view from this trail, from Coastal Trail Runs’ website. Sounds like a great run, and like a really hard workout with the elevation and being trail. Enjoy. It looks like a beautiful trail – have fun with it! I love your attitude towards the race, seeing it more as a normal long run. I often do the same – I’ve gotten smarter about races over time, and although I like the atmosphere at races, I can’t afford to race all of them. I often find that it’s precisely the races which I take easy that turn out to be the ones I enjoy the most, because I just focus on the setting and the atmosphere. 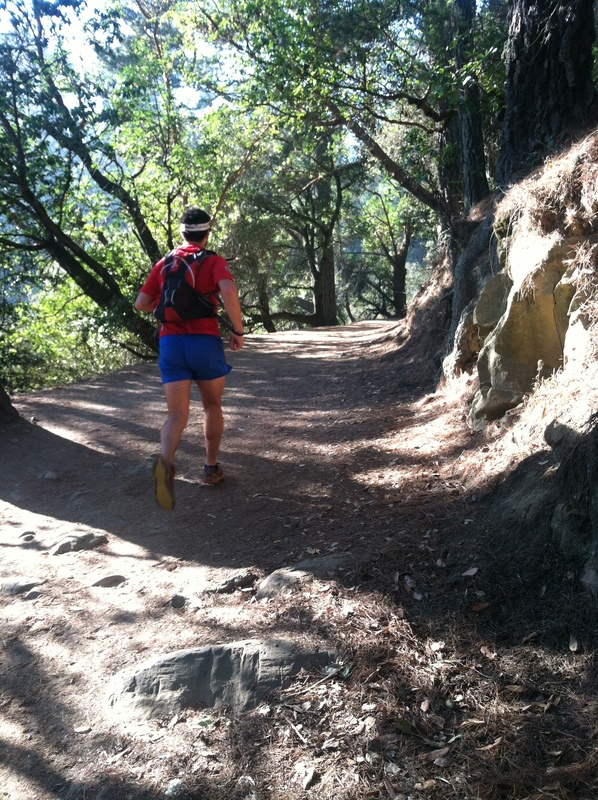 Trail or mountain races really lend themselves to zen running. Could not agree more! These races are pretty cheap and make for a fun Saturday activity. I contemplated running it as well with Way to Cool 50k right around the corner but half wasn’t long enough, 20 felt a little short , and marathon seemed a little long. Running solo on Sat it appears . Good luck!! I really want to run Way too Cool next year! It just didn’t fit into my schedule this year. Have a great time on the trails!